Can't get enough of Thin Mints? Well, you're in luck - Dunkin' Donuts unveiled three new Girl Scout Cookie flavored coffees on Friday. The new flavors - Thin Mints, Coconut Caramel and Peanut Butter Cookie - will be available from Monday, Feb. 26 through May at participating Dunkin' Donuts restaurants. All three flavors will be available in hot or iced, as well as in lattes, macchiatos, frozen coffee and frozen chocolate. The new flavors were unveiled Friday on Facebook Live from Savannah, Georgia, birthplace of the Girls Scouts of USA. 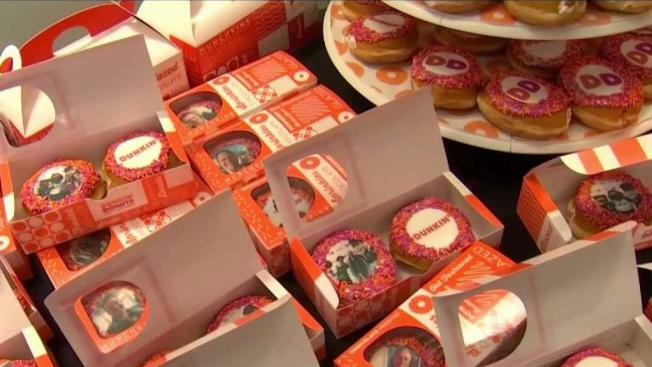 The new flavors are being served under a licensing agreement with the Girl Scouts, and some Dunkin' stores are also inviting local Girl Scout troops to sell cookies at their restaurants on weekends in February and March.